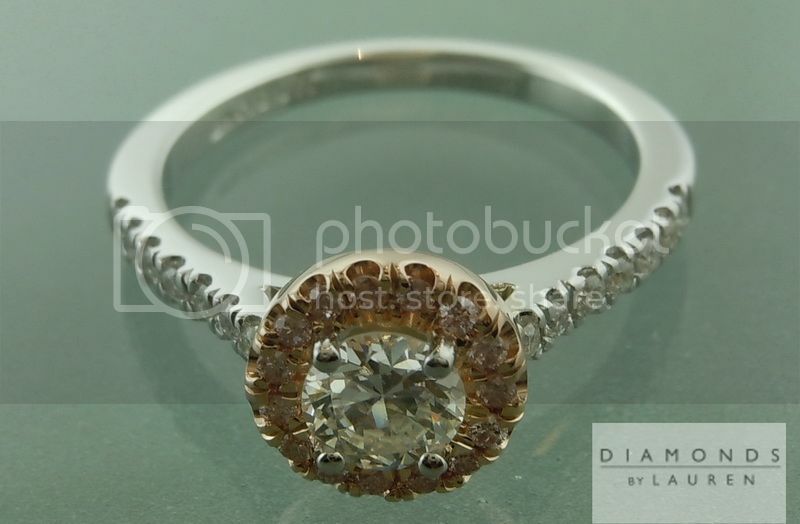 This is a stone we took in trade - it was graded as modern round brilliant by GIA, but the stone looks slightly transitional to me. 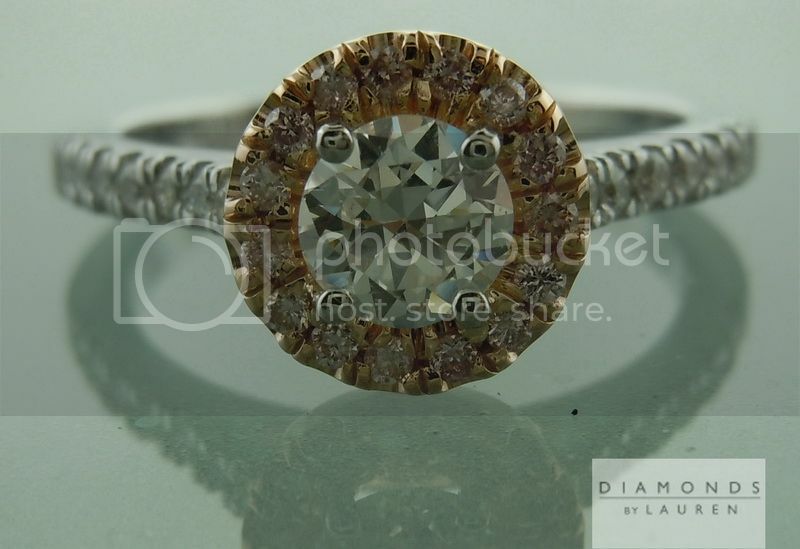 The larger facets on bottom - and open culet all suggest age. 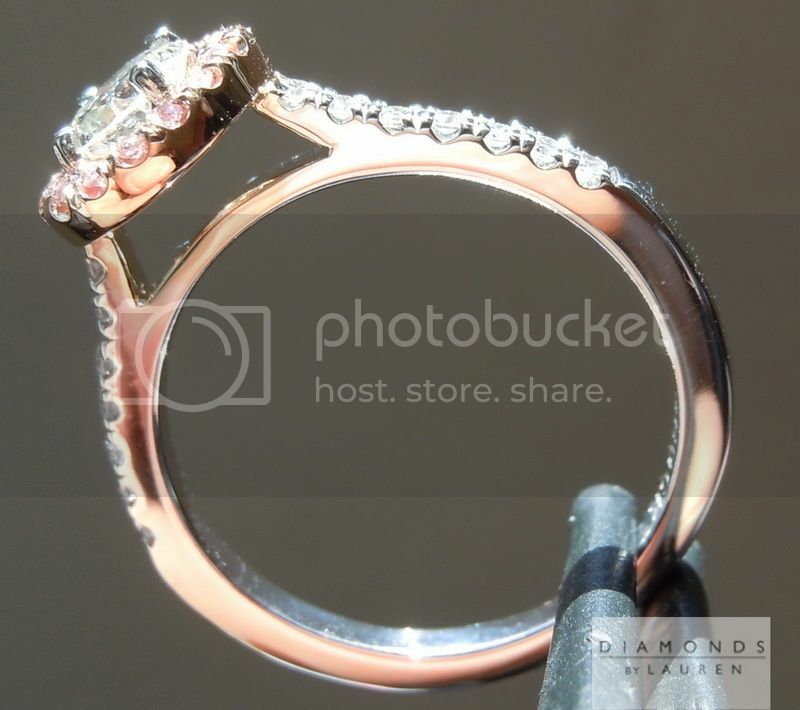 The stone is in perfect condition. 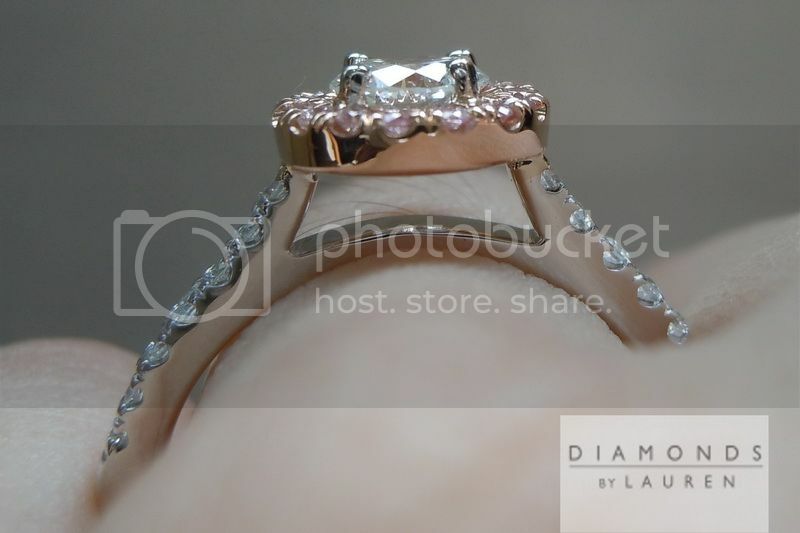 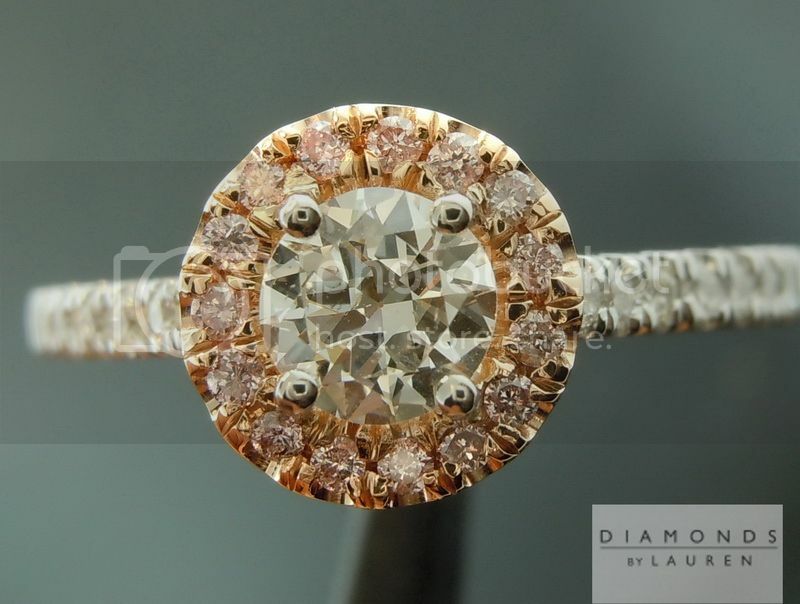 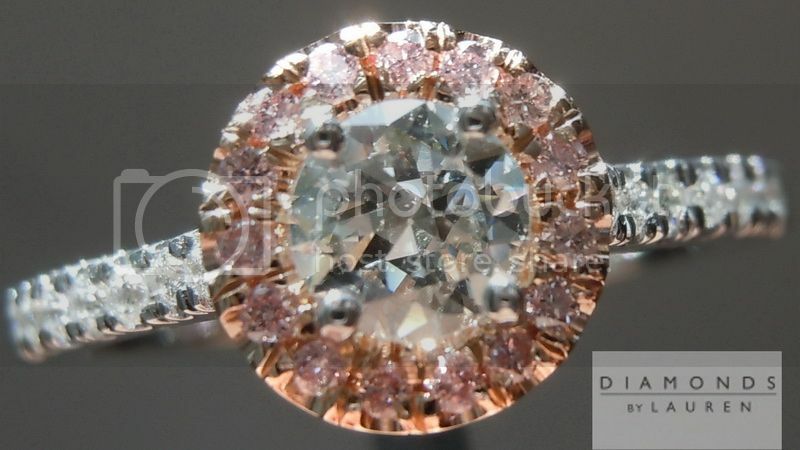 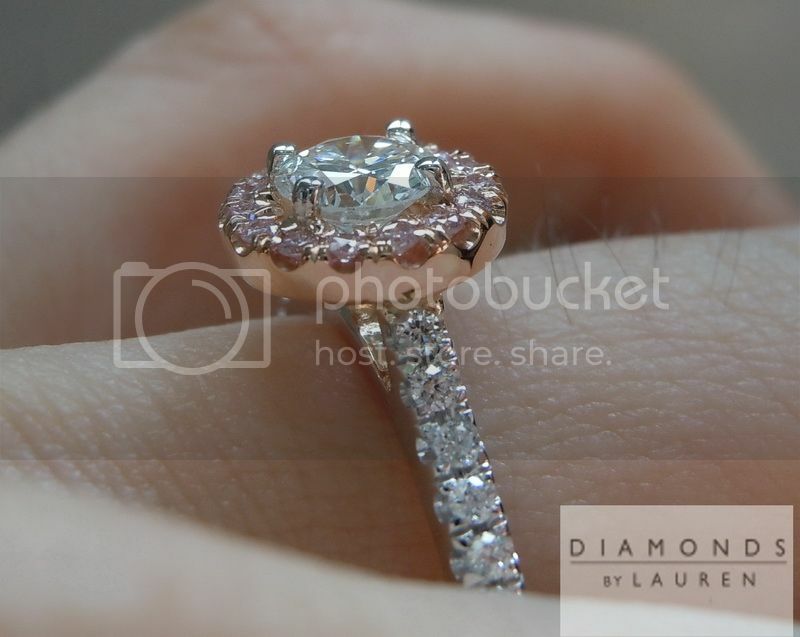 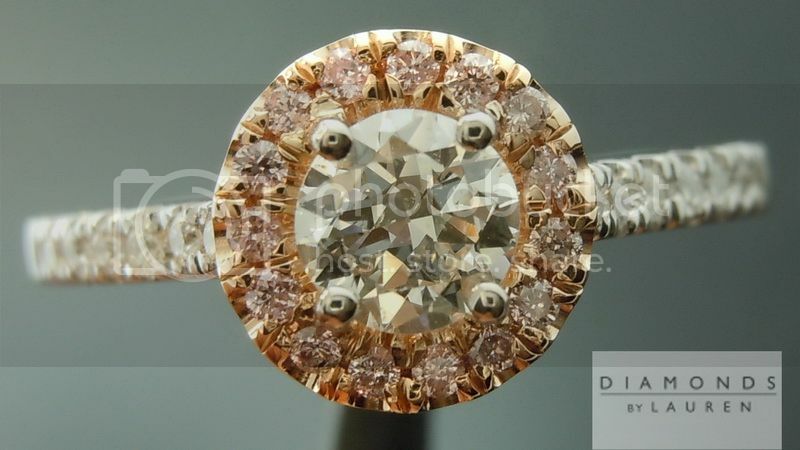 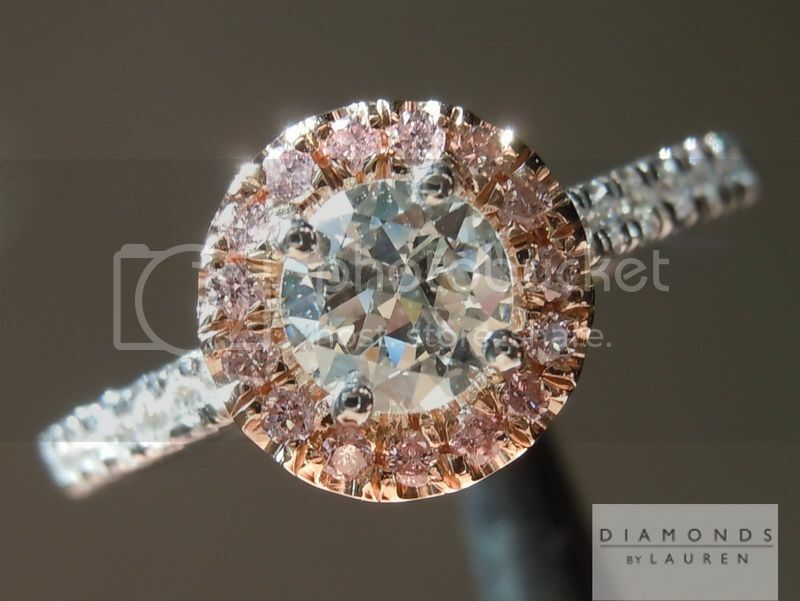 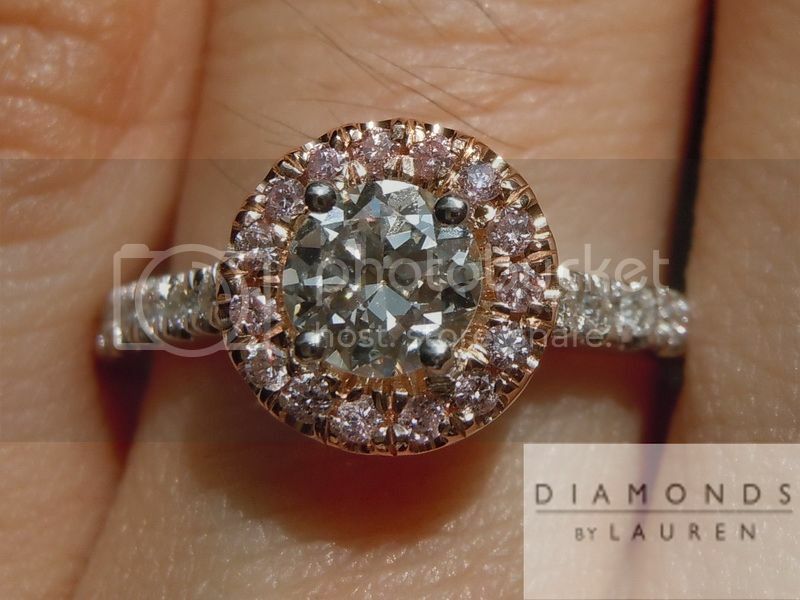 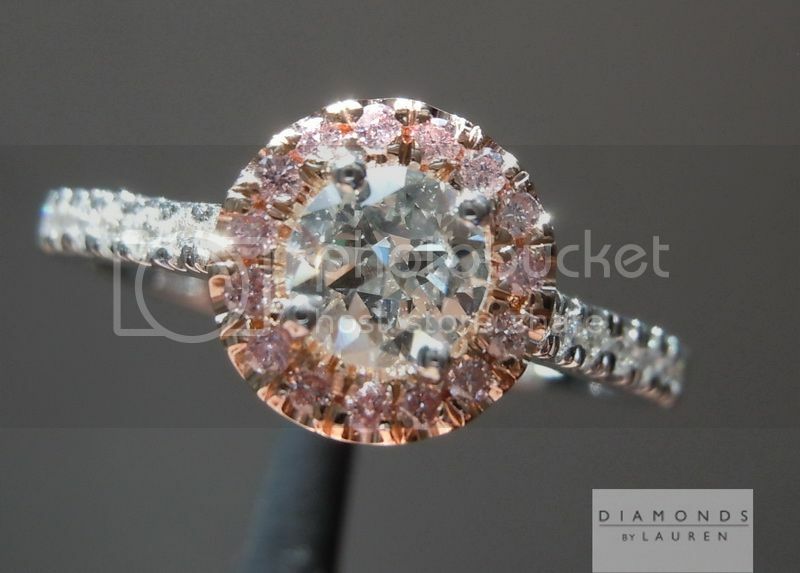 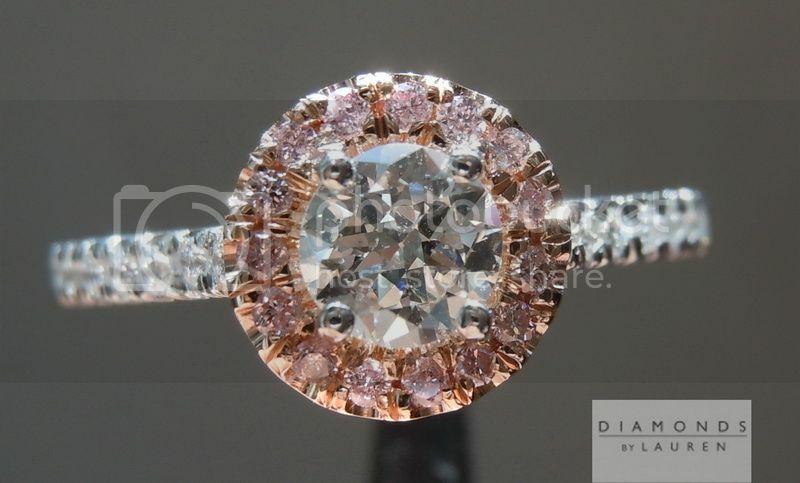 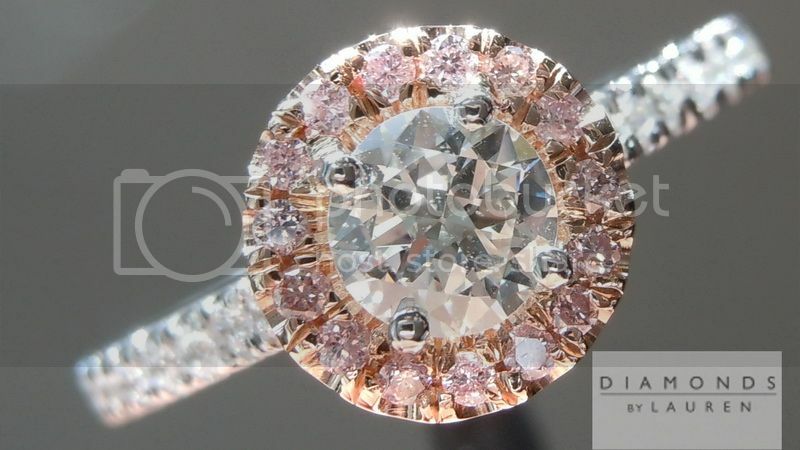 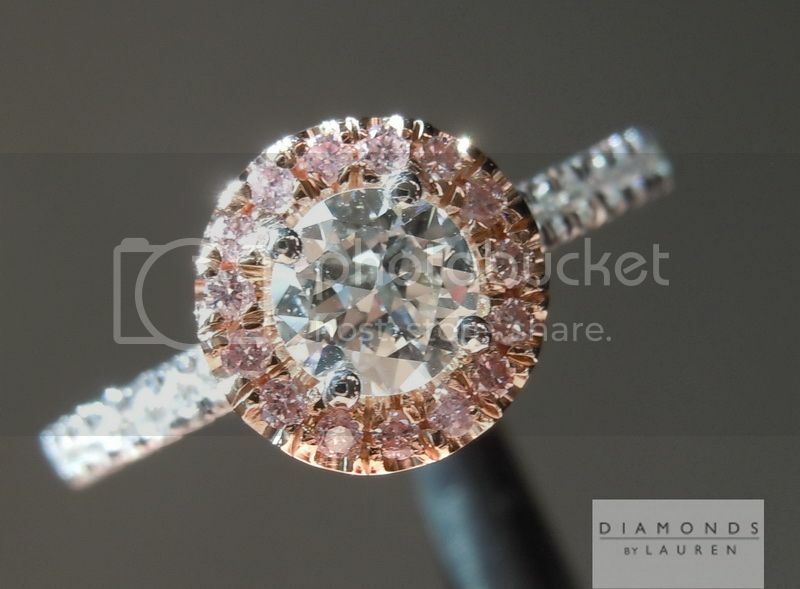 Really nice color at G.
The natural pink diamonds as well as the colorless diamonds are all well cut and add to the sparkle of the ring.